This article explores the way sensors, the IoT and consumers are converging and impacting insurance. Add to this the emergence of new platforms like 360Globalnet which add video and photographic data analysis to telematics, machine data and structured/unstructured data to give a complete and contextual picture for insurance companies. Technology disruption that favours the brave but with the right culture can be exploited without disruption. Clearly the new paradigm in connected insurance – motor, health and home – will face several challenges posed by rate of adoption, cost barriers, resistance to change, and privacy aspects, but nevertheless the benefits are numerous for both insurance companies and customers alike. And motor insurance telematics confirms that the models can be successful. 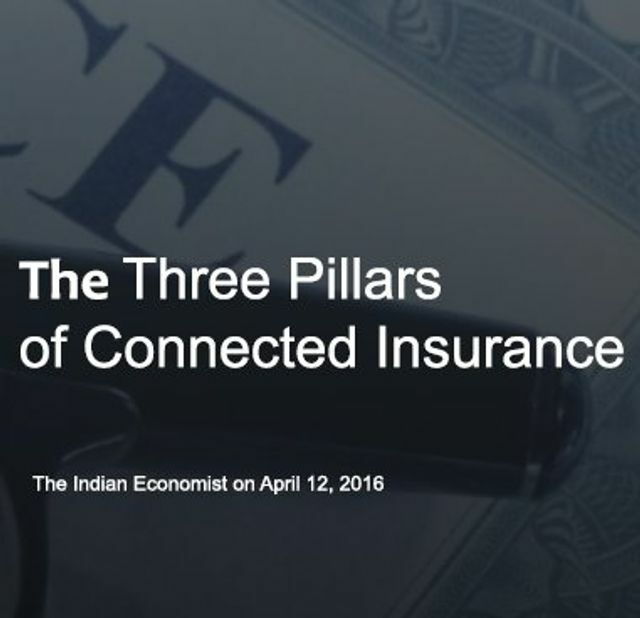 The three pillars of connected insurance will have to stand within an ecosystem of partners, service providers and interconnected devices that the insurance company will have to foster in order to deliver the ultimate user experience to the customer. In the background: a system based on big data analytics that can identify patterns and provide optimized solutions based on real-time input; up-front: a seamless user-friendly interface that will transform the way companies communicate with policy holders.